Commercial 20kW Solar System, SAVE MORE (installed prices) - Perth WA. 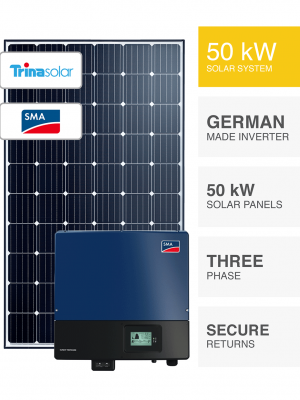 66 x 310W (20.1kW) Trina Solar Mono PERC smart modules. 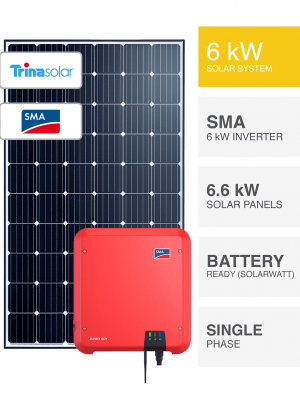 Longlife SMA Tripower inverter technology. Advanced asset management with superior monitoring software. Extreme safety and greater performance from optimisation. 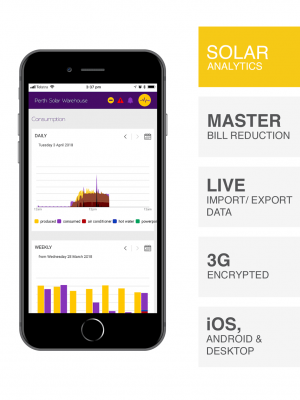 Provides module-integrated monitoring and power optimization. Unparalleled asset management with refined performance data unlike no other. 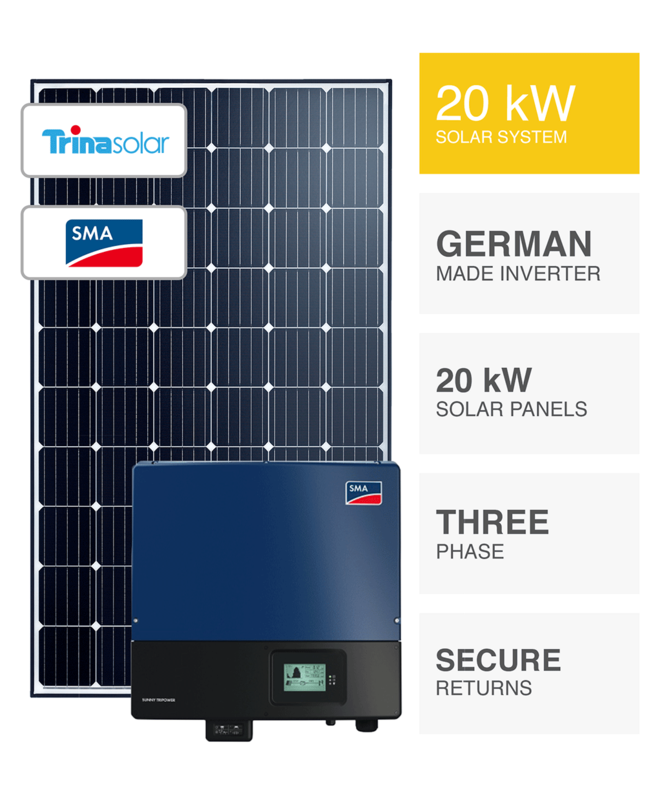 The Commercial 20kW Solar System with SMA Tripower by PSW Energy delivers the control a business needs. 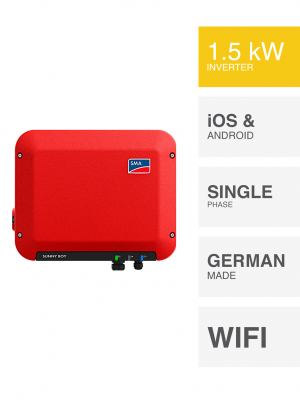 It’s the industries greatest standard inverter warranty. Achieved through no requirement of electrolytic capacitors, with ingenious design characteristics, expect SMA Tripower to work well beyond its warranty period. The foundations for one of the safest solar technologies available. Remove the possibility of hazardous DC arc fault in your commercial 20kW solar system through safe solar panel optimisation. Equipped with PSW Life Support gain expert technical assistance for life with no ongoing costs. The industries most comprehensive customer care program and the greatest accompaniment to your commercial 20kW Solar System. Guarantee you future Commercial 20kW Solar System success. A technical expert by your side, always. What do you require? 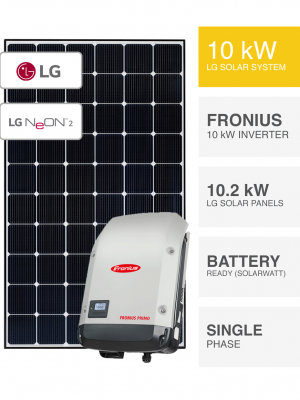 Long lasting, safe solar technology with superior asset management qualities and the ability to ensure maximum production and performance from each individual solar panel. Bussiness looking to ensure maximum performance from their solar panels. Installations with a requirement for 100 units per day (avg) from solar. Management concerned about the ultimate product for energy generation and safety combined. What will it cost? This will depend on your structure, potential mounting locations for the solar panels, inverter location, plus any potential travel beyond PSW Installation Zone 1. Can PSW Energy facilitate this cost remotely? Generally yes. A technician can review your property remotely and understand many key price-related factors without too many questions. You’ll need to provide an accurate installation address. For a firm price, site access is required. Simply select ADD TO QUOTE below or email sales@pswenergy.com.au. 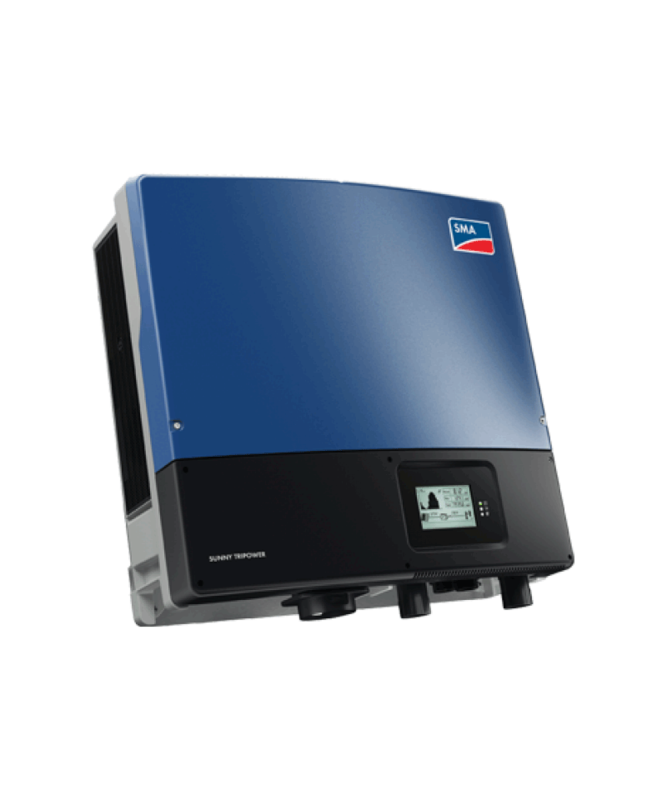 The PSW Energy Commercial 20kW Solar System is a three-phase system only.